A few years before I started my interest in makeup, I don’t like concealers. It is because I had a bad experience with it before. I bought a concealer for my graduation and continued using it for the first few days when I already got a job. Apparently, that certain concealer that I bought did not give out a good effect on me. It caked and made my under eyes look worse. This is why I was hesitant to buy concealers. Yes, hesitant even to try other brands. Control your skin tone in just the way you want! Rapidly covers discolored areas, uneven skin tone and other skin concerns. Here are more details regarding this concealer. 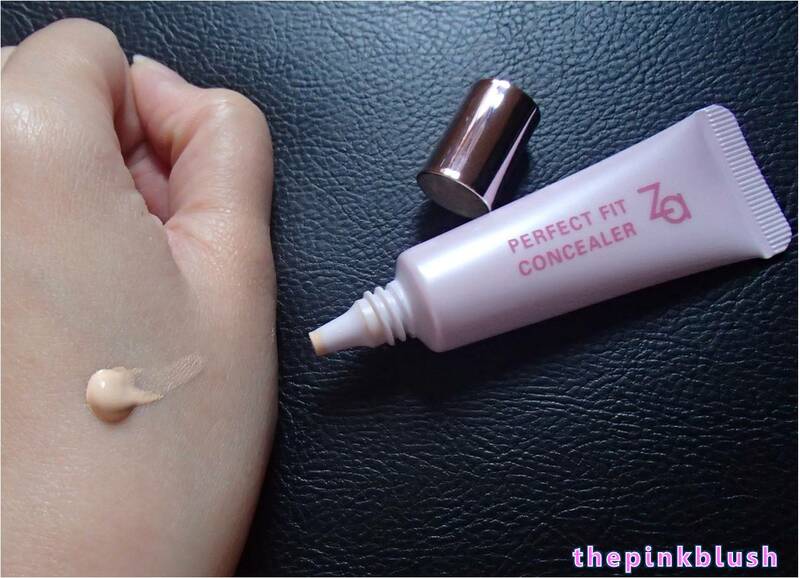 Here is a swatch of the Za-Cosmetics Perfect Fit Concealer in 01. The consistency is very lightweight and it is also very easy to blend. It also ends up a natural powder smooth finish once it has been set on the skin. Also, it does not crease or cake. 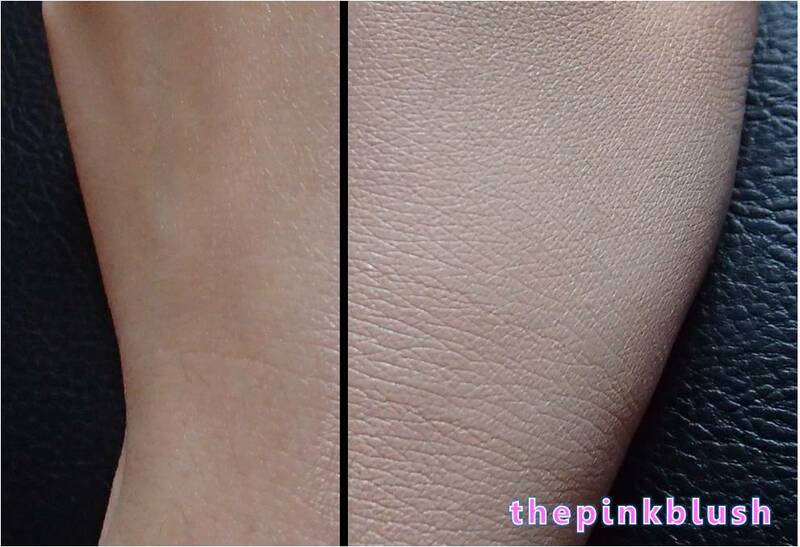 In the comparison picture below, you can see that the right part (the one with concealer) has a much lighter shade now as compared to the left part which is my actual skin shade. Here is a visual comparison of my bare under eye area and my under eye area with Za-Cosmetics Perfect Fit Concealer in 01. You can see in there that the under eye area with concealer has become significantly lighter. 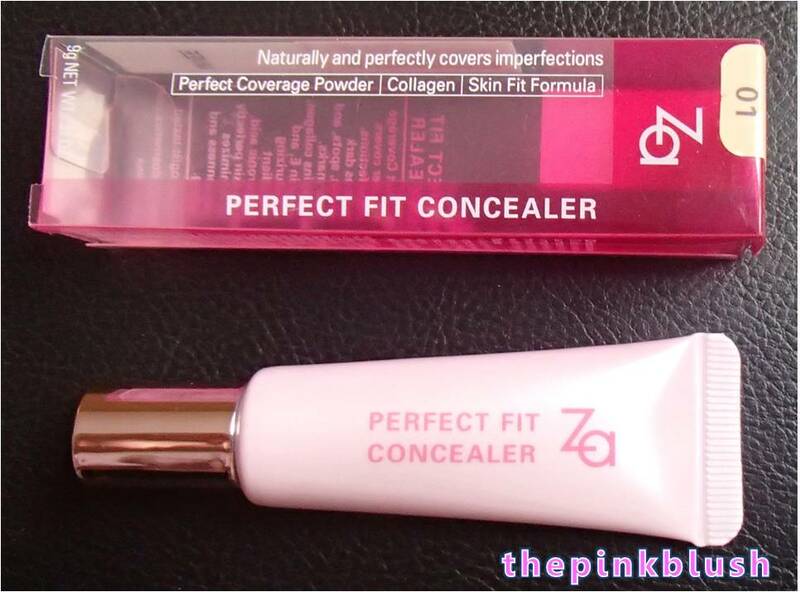 The Za-Cosmetics Perfect Fit Concealer in 01 made me change my mind regarding concealers. This really does wonders for my under eye circles. 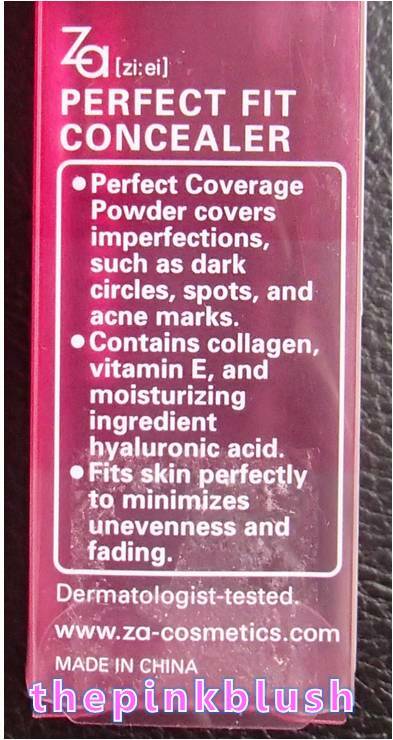 Though, it does not work that much in covering my dark spots and acne marks. This product is originally priced at Php345. However, I got a 10% discount during the Watsons sale so I only paid Php310.50. Though, I believe that in its original price and for such a good product, it is affordable already. There are three available shades of this concealer. Simply amazing product what can i say about it .